Recent studies have shown that reward history acts as a powerful attentional bias, even overcoming top-down goals. This has led to the suggestion that rewards belong to a class of attentional cues based on selection history, which are defined by past outcomes with a stimulus feature. 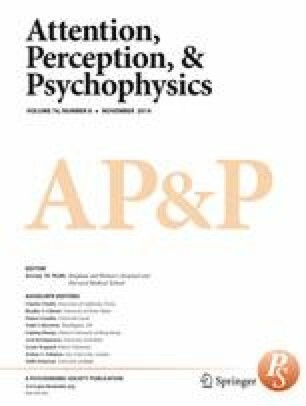 Selection history is thought to be separate from traditional attentional cues based on physical salience and voluntary goals, but there is relatively little understanding of how selection history operates as a mechanism of attentional selection. Critically, it has yet to be understood how multiple sources of selection history interact when presented simultaneously. For example, it may be easier to find something we like if it also appears in a predictable location. We therefore pitted spatial probabilities against reward associations and found that the two sources of information had independent and additive effects. Additionally, the strength of the two sources in biasing attentional selection could be equated. In contrast, while a nonpredictive but perceptually salient cue also exhibited independent and additive effects with reward, reward associations dominated the perceptually salient cue at all levels. Our data indicate that reward associations are part of a class of particularly potent attentional cues that guide behavior through learned expectations. However, selection history should not be thought of as a unitary concept but should be understood as a collection of independent sources of information that bias attention in a similar fashion. We would like to thank Jeongmi Lee for her helpful comments on the manuscript. This work was supported by the Hellman Foundation and the National Science Foundation (BCS-1230377-0).